QUOTE | “It was just good to talk about in 2013/2014. It is less relevant now. 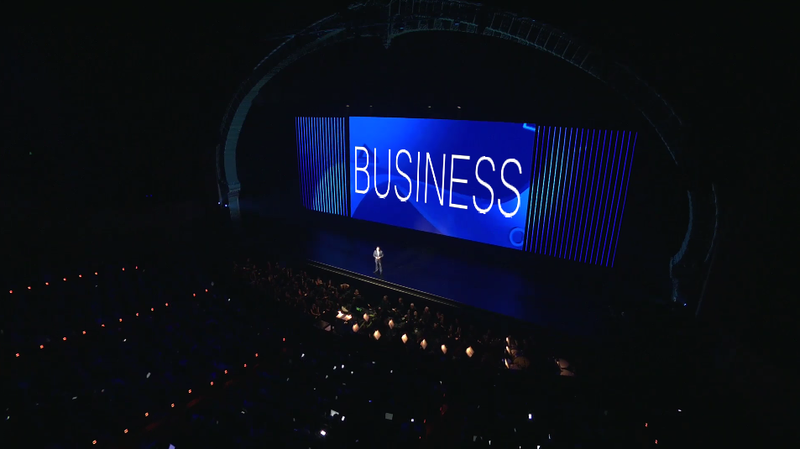 We have VR to talk about now, for example.” - Sony’s global head of sales and marketing Jim Ryan explains why the company’s E3 press conference lacked the indie presence the company had previously made a selling point of the PS4. QUOTE | “Just why anyone would consider investing in the high street video game retailer in 2017 is beyond me.” - Paul Summers of investing website The Motley Fool encourages people to sell shares of UK retailer GAME after they hit a five-year low in the wake of E3. QUOTE | “We haven’t officially released the roster. Let’s just say we think our fans will be pleased with what’s being announced. And what we talked about earlier with games-as-a-service, we certainly expect Marvel vs. Capcom to be that. There’s going to be content released over time. We’re not seeing this as a one-off that ships this fall; it’s a service that goes on for years. Therefore, if you look at it, content and new characters are going to be dropped over time, and I think fans will be happy with what’s going to be dropped, not just in September but going on from there.” - As part of a larger interview, Marvel Games’ Jay Ong addresses complaints that Marvel vs. Capcom Infinite lacks characters from the X-Men and Fantastic Four franchises. QUOTE | “I have promised myself never to give in to mob mentality; it’s one of the worst things I know and a terrible way to convince me.” - Paradox Interactive CEO Fredrik Wester, insisting he doesn’t cave to angry customers in a post explaining why he’s caving to angry customers and rolling back price increases on the company’s games in dozens of markets. STAT | 31% - The portion of VR or AR games in development right now that are exclusive to a platform, according to a survey of 600 conducted by the Virtual Reality Developers Conference. That’s up from 10% in last year’s survey. QUOTE | “I don’t think at this moment [VR-only games] would be profitable for anyone. Maybe for a small team that uses a lot of off-the-shelf content from the Unity store or something, they might be okay-ish. I don’t think at this moment any bigger company is going to invest in that. You’re not going to see a VR-exclusive Ghost Recon: Wildlands or Mass Effect Andromeda. That’s not going to happen any time soon.” - Crotem CTO Alen Ladavac explains why the company’s VR strategy boils down to adding the tech to existing games. QUOTE | “We’re entertainment and this is a very creative place. It’s not going to be ‘solved’ with deep learning and AI and metrics. We have that human emotion in place that is very important, and that I think EA is particularly strong in.” Electronic Arts’ executive VP of global publishing Laura Miele says the publisher has begun filtering its analytical insights through the experiences of on-the-ground staffers around the world. QUOTE | “From the tests we’ve done previously, what we’ve found is there’s more than enough demand for the IP. Certain IP is going to perform in different ways, particularly if you take something like Sonic or Crazy Taxi versus something a bit more niche like Comix Zone.” - Sega Networks chief marketing officer Mike Evans throws shade on Comix Zone while talking up the company’s new free-to-play retro mobile initiative, Sega Forever. QUOTE | “The market on smartphones is like a black ocean. So if you take a pebble or a black stone and throw it in, as soon as it hits the water you don’t know where it is. You can’t see it.” - GungHo CEO Kazuki Morishita explains why the company didn’t focus on mobile gaming after its Puzzle & Dragons became a surprise blockbuster. Instead, it continued to develop across platforms, most recently releasing the free-to-play PS4 game Let it Die. QUOTE | “After discussions with Take-Two Interactive, effective immediately we are ceasing all maintenance, development and distribution of the Force Hax cheat menu services.” - The creators of the $15 Grand Theft Auto Online cheat program Force Hax presumably avoided legal action by pulling the tool from sale and pledging to donate all proceeds to charity. As of this writing, GTA V has “overwhelmingly negative” recent reviews on Steam, with only 11% of some 52,000 users giving it a thumbs up. QUOTE | “We have been very clear with the City that the Convention Center needs to evolve, particularly if we are going to bring in consumers to the degree that we have this year.” - Mike Gallagher, president of the E3-organizing Electronic Software Association, is leaning on Los Angeles to upgrade the venue to accommodate more visitors, increase usable space, and add a ballroom.